Some healthcare providers have violated patient privacy and HIPAA Rules when responding to negative comments on Yelp and similar review sites according to a recent ProPublica report. For the report, ProPublica was provided with access to around 1.7 million Yelp reviews of healthcare providers. The researchers used a tool to sift through the reviews and isolated approximately 3,500 one-star ratings of healthcare providers – the lowest possible rating on the review site – that mentioned “Privacy” or “HIPAA”. ProPublica researchers discovered “dozens” of instances where healthcare providers had breached HIPAA Rules when responding to comments. In some cases, the responses to the negative comments involved the disclosure of patients’ protected health Information. Disclosing any details of medical procedures performed or personal information about patients in website comments is a violation of patient privacy and a violation of the Health Insurance Portability and Accountability Act. 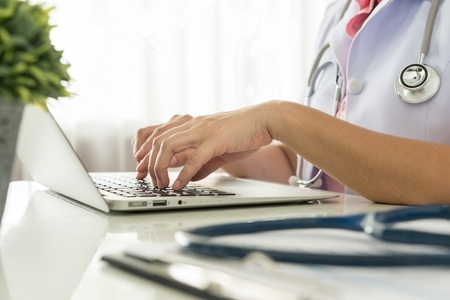 Even when no PHI is disclosed in the comments, healthcare providers have breached HIPAA Rules simply by confirming that the commenter is one of their patients. Even when a patient posts a comment about a physician or other healthcare provider, they have not given their permission for any information about them to be disclosed. That includes their status as a patient of a particular healthcare provider. While hotels and restaurant owners can respond to negative Yelp comments and can provide their points of view, healthcare professionals must exercise restraint and not enter into comment discussions with patients. This does not mean that healthcare providers do not get the right to reply, only that any responses to negative comments should not refer to individuals. The Office for Civil Rights (OCR) and state attorneys general can issue heavy fines for HIPAA violations and breaches of patient privacy. In 2013, Shasta Regional Medical Center agreed to pay the OCR $275,000 after the impermissible disclosure of a patient’s protected health information to the media. Healthcare providers that disclose PHI when responding to comments on review sites may find they too will have to pay a substantial financial penalty for breaching HIPAA Rules and violating patient privacy.